A man’s home is his castle. But for New Zealand man Vic Gadsby, a veteran of the Vietnam War, his castle is under attack and he doesn’t know what to do about it. Gadsby lives adjacent to the Copthorne Hotel, and when their driving range was opened two decades ago, it opened his home to a constant barrage of golf balls hit by over-excited duffers. The first assault happened in 1997, when a ball went right through his living room window, sending glass all over and barely missing his daughter and his baby granddaughter. The hotel’s owners promised to fix things and promptly paid for the damages, but nothing ended up changing. 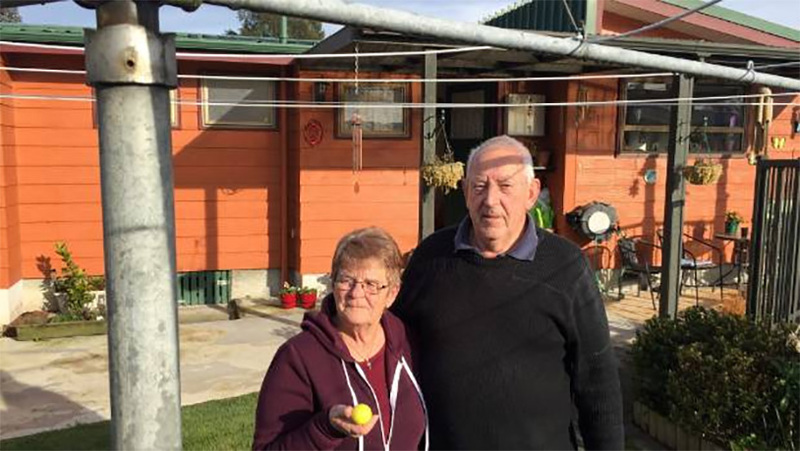 Gadsby, who served with the New Zealand Defence Force during the Vietnam war, says that he’s collected over a thousand golf balls on his property and in the street since the range opened. On windy days, balls can go even farther and impact his neighbors’ homes as well. The residents don’t really have much recourse in their decades-long struggle against the hotel. They’ve promptly paid up whenever damages have been incurred, but it’s only a matter of time before a ball hits a person, not a piece of property, and then a lawsuit will be inevitable. Stuff has more on the story.